That makes more sense to me then a pattern instructions. They are so beautiful Cheshirekat omg the pattern in the scarf is amazing! Ok I will try it if I succeed sucky or not I shall post it. Lol, maybe it will break my bad streak when it comes to hats. LastBrunnenGstanding wrote: Do any of you have an simple pattern chrocheting wise for a cap orhatfor a man? I have faild endlessly on hat making they do not come out.....I want to make a hat for my love.I can't do hatI have tride all kinds but I will not give up. Any help is welcomed and youtube is not working out on search wise :p If you try these links below I'm sure you'll find something. I use them all the time these sites ok. This is a video tutorial, http://www.youtube.com/watch?v=KobDydvvmmU 4ply yarn in the us I'm told is Double Knitting or 8 ply in the UK/Europe/Australia. Update I have found out since that 4ply yarn is not the same as UK DK and AU 8ply, it is in fact chunky yarn. Oops. And this is the pattern for the same hat in the video. Here's two video tutorials that I learnt how to make the gift bag from envelope. I have even recyled my b'day and xmas card envelopes. The young lady is doing hallooween gifts bags but you can make anything with yours. You don't need any special stuff to make them with. I mean if you don't have rubber stamps for example you can just cut shapes out or if your good at drawing, draw stuff on it. I've even made rainbows with coloring pencils on my ones. You can do any size as well. I had a gift last year that would of taken me loads of wrapping paper to wrap it and I don't have the patience I used to, so got a large envelope and covered it in wrapping paper and enclosed my gift. I use a comibination of double sided tape and glue dots. Sadfy the original gift box tutorial has gone by Becky, so this one will have to do. This is an origami gift bag that can be made with almost any material. I'd advise you to make your first few with recyled paper, meaning old magazines or even new ones, just to get the feel. I my self do use free flower magazines to make them. You just need to make sure you have a square, that all sides are the same. Again you can make them as big or small as you like. I find my homemade bead earrings go quite nice in them. You can add handles or just close them at the top with invisible tape. And this is the coolest origami box ever. Again you can use almost any material and seal them up with ribbon. 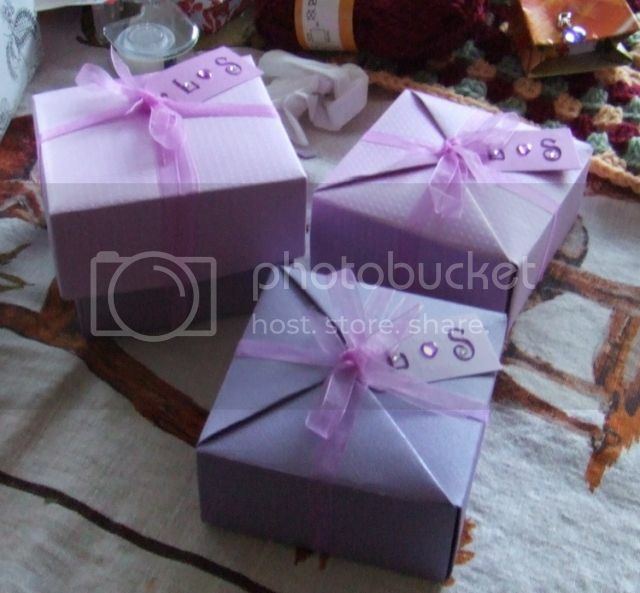 I made two lots of wedding git boxes with scrapebook paper and card and my friends daughter was amazed they were hand made. 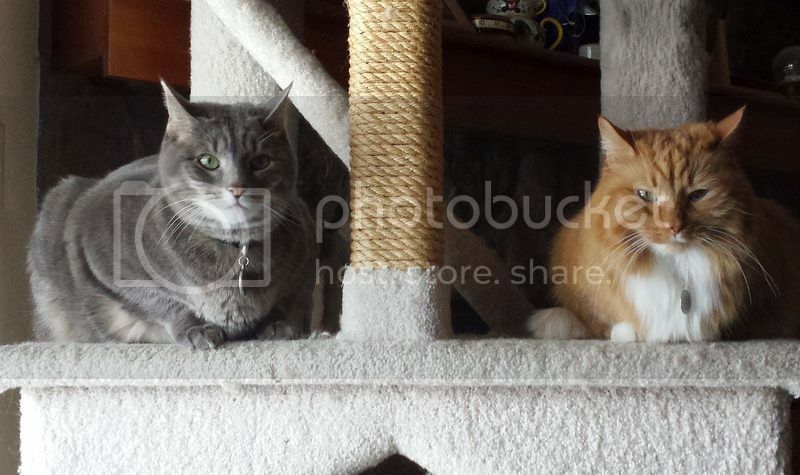 I'll try and post a photo of them. I'd just like to add there are so many craft tutorials on youtube and most of them do have blogs and patterns to go with them. I can't learn from patterns most times, I have to been shown. If you have firefox web browser you can uplug them to your hard drive so you can watch them without been on the internet. 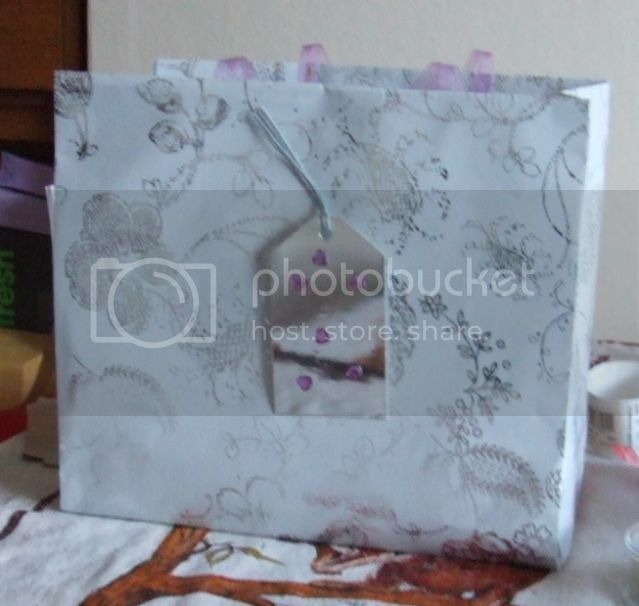 This is the origami gift bag that I made for a wedding. Two of those boxes are from the coolest box post above link. The other one is different box which is the same as the little xmas ones I posted in the How craft are you thread. I brought the tags and the sticky letters. 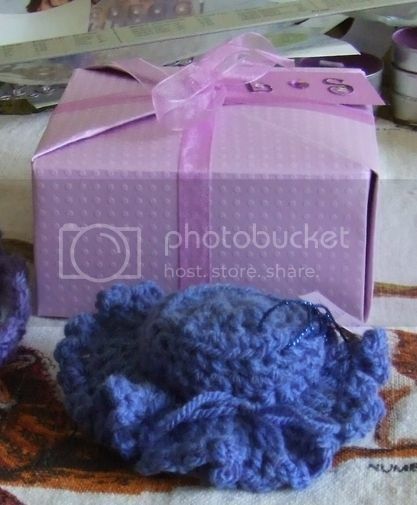 This is one of the boxes close up and the blue round thing is a crochet knob handle for a saucepan that was one of the gifts I made them that went in the boxes, along with the coaster I made them and shop brought candles. Here what about this. A lovely crochet gift and quick to make and you don't have to use the same yarn. By the way this is the man that thought me how to crochet. I belong to his fan page on Facebook. A little clutch pursue would be ver practical it's like a wallet almost. Have you guys made a duct tape wallet? Haha mine didn't come out to get the pockets were hard to do. DFG have you made soap or candles? That would very cool for a future project I would save up for. I think I'd go with the candles I got mason jars I could use for the containers. Quite a few members of my family and me are unable to use soap. I and my sister has to use special stuff from the chemist which costs an arm and leg. I've made candles in the past but was not very good at it, however one of my nieces makes really nice candles and puts them in a teacup. She never made me one as I don't like that sort thing. I'm quite fuzzy actually. No I've never tried to make duct tape purses but I have a friend that does it. I don't think I'd have the patience to do it. I use my duct tape for repairs at home and most times it ends up been sticking to me, lol. Here's something really interesting. How about recycling your magazines or newspapers. All you need is paper and clear tape and a bit of spare time and a lot patience. This woman also does wonderful crochet tutorials too. You can make handbags or I should say purses, is what you US folks call them. Bags, all sorts of things. Attention all crocheters, if you would like a quick non expensive project for xmas, here's your project. It's so cute. I loved the little mini stockings! they are a darling i know granny square so i can make this lol. i made this little baby blankets out of granny squares. i got the cutest little 3ft white x-mas tree :3 this little stocking would be perfect on my tree. When you make it, do you think you could take a photo of it and post it either here or in the How Crafty are you thread?